Central Point is a wonderful recreation area for residents and visitors alike, offering easy access to skiing, boating, fishing, rafting, hiking, camping, biking and golfing and near by Table Rock. In addition to many outdoor recreational opportunities, Central Point is conveniently located within minutes of many cultural attractions such as the Oregon Shakespeare Festival, the Britt Music Festival, Rogue Community College's Outdoor Theater, plus numerous quality theater and musical events. The Jackson County Expo Center, located in Central Point just off I-5, offers a wide range of activities including the Annual Jackson County Fair, Harvest Fair, Hot Air Balloon Festival, Christmas fairs, rodeos, musical events and activities year round. The area's economy is based primarily upon agriculture, tourism, timber products, and retail trade. A large regional mall is located within four miles of Central Point and a factory outlet shopping center is located just 12 miles south on I-5. The main offices for the Grange Co-op and Dogs for the Deaf are located in Central Point, as well as the Rogue Valley Creamery, and Central Point Lumber. 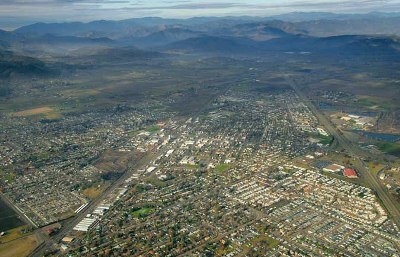 There is a stong suburban feel to Central Point, which is developed on the most furtile farm land on the valley floor. 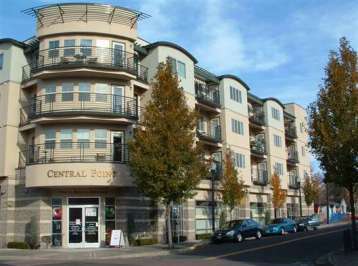 Within the Rogue Valley there is a very convienent "Central" feel to Central Point. Many beautiful small to medium size homes built from the 70's through today. You can find larger homes on larger acreage on some of the surrounding farms. There are also some new small acreage estate properties, some with dramatic views. Central Point uses the 97502 zipcode. 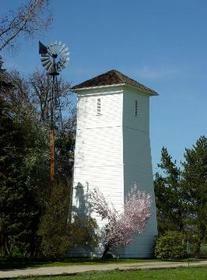 Click here to see the homes for sale in Central Point, Oregon.